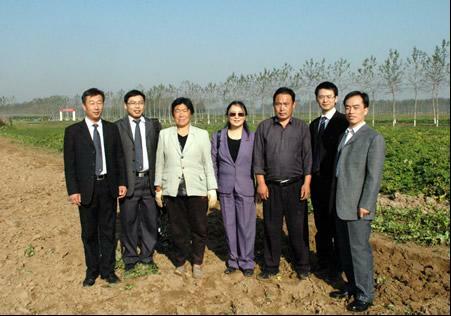 In such a fruitful October in golden Autumn, President Deming Li, with the company of colleagues from Production Department, R&D Department and Planning Department, paid a special visit to the plantation in Anguo City, discussed strategically about material-selection and production issues, such as broadening the planting area, selecting quality breeds and so on, made preparations for the production in 2009. Green World Group has always been taking superior quality products as the life, strictly controlling the quality from selecting materials, planting, extracting to producing, choosing to cooperate with large-scale natural plantation, which has passed the accreditation of GAP, to control the products quality from the original step. The plantation located at the areas far from residences and industries, boost the features of fertile, abundant sunshine, plenty heat and rain, which can ensure that the medicinal materials are safe, nontoxic and high efficient. During the planting process, Green World Group applies unique technology and biological method to dealing with the soil, seeds, plant diseases and insect pests, strictly controls the use of agricultural chemical, provides authentic pollution-free raw materials to the production. 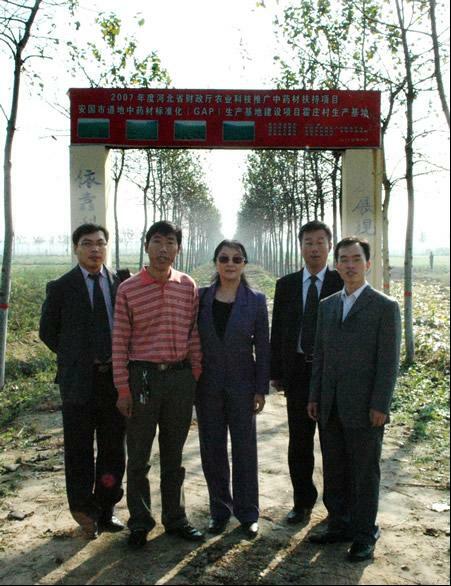 Since the Green World Group strictly selected the raw materials and controlled the quality in every detail according to the GMP standard, guaranteed sterile working at every step, produced products with high efficiency, balanced nutrition and superior supplementary treatment, created ever-increasing sales performance, President Deming Li went to the plantation in Anguo city in person to seek new plantation, in order to broaden the original plantation and meet the demand of the customers. 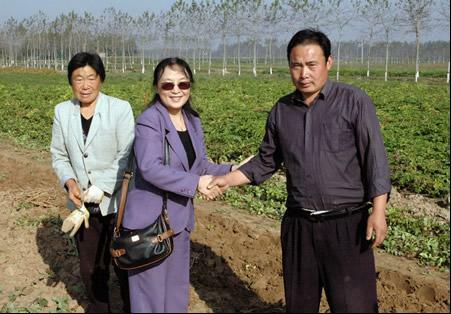 In the plantation, regardless of the tiredness from the journey, President Li guided the management team in person to see the planted situation, soil condition, products quality, etc and talked with the farmer amiably to learn the specific soil characteristics, suitable breeds to plant and explain planting standards to the farmer to make the brand from the origin. With such a serious-minded president and a cordial team, Green World Group will develop and produce more efficient products and bring good new for our customers' health!